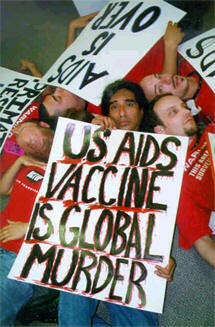 The self-styled "AIDS dissidents," groups and individuals advocating the view that HIV does not cause AIDS, and often urging people with HIV to reject medical care, have raised their profile in recent months, ratcheting up their advocacy in the U.S. and attempting to influence the health policies of foreign governments. Although these forces sometimes accept the need to treat opportunistic infections, most reject the vast majority of conventional HIV/AIDS treatment, especially use of drugs to combat HIV. This article is part of a series in which AIDS Treatment News examines key arguments put forth by the "dissidents"--perhaps more accurately termed "AIDS denialists," because most deny that AIDS is a genuine epidemic and many deny that the term "AIDS" even describes a real medical condition. One consistent thread running through the denialist literature is the assertion that AIDS medicine has made a serious mistake by relying on laboratory markers such as CD4 cell counts, and viral load as measured by techniques such as polymerase chain reaction (PCR). In other words, transient low CD4 counts seen in other circumstances do not equal AIDS and bear little resemblance to what is typically seen in HIV-infected individuals. What the denialists regularly ignore is that while unusually low CD4 counts can occur for a variety of reasons, numerous large, long-term cohort studies have demonstrated a distinct pattern associated with HIV infection: A statistically significant CD4 decline commonly begins around the time of seroconversion and gradually becomes more severe over time, eventually leading to increased susceptibility to opportunistic infections. The Multicenter AIDS Cohort Study (MACS) has also reported a "greatly increased risk" of PCP when CD4 counts drop below 200. (8) Numerous other studies have found similar associations between lowered CD4 counts and increased risk of PCP and other opportunistic infections. (6,9,10) Such findings formed the basis for long-standing recommendations regarding opportunistic infection prophylaxis (using drugs to prevent these infections). Other research relevant to this discussion is covered in the section on viral load, below. "Ho and Shaw's technique looks for HIV RNA, the genetic material found in the viral core. They assume that since each HIV contains two HIV RNAs, there must be one HIV for every two HIV RNAs they count. But the large amount of HIV RNA they report is found only after sending blood samples through polymerase chain reactions (PCR). PCR is the 'DNA fingerprinting' technology which takes tiny numbers of genetic molecules (RNA or DNA) and turns them into huge quantities." Thus, when the FDA approved the Roche Amplicor HIV-1 Monitor (a PCR-based assay), it required the labeling to indicate that the test can accurately detect a three-fold or greater change in HIV RNA for patients with a viral load of 1000 copies or greater and a six-fold or greater change for patients whose viral load is below 1000. (19) (Although Maggiore is correct in saying that the FDA has not approved PCR for diagnosing HIV infection, she neglects to mention that the agency did approve it "to assess patient prognosis... or to monitor the effect of antiviral therapy"). Strikingly, Philpott and Johnson stick entirely to theory and do not address the key question of whether or not viral load measurements predict the likelihood of disease progression or death in the real world. A very large body of evidence indicates they do, some of which was available prior to their dismissal of the tests as a "Viral Load of Crap." The mass of confirming data--from ongoing cohort studies as well as antiretroviral trials--that has accumulated since then is rarely acknowledged in denialist writings. Beginning in 1995 John Mellors and colleagues published a series of articles detailing MACS cohort data showing a strong correlation between baseline viral load and subsequent disease progression.20,21,22 Using stored blood samples from patients' early study visits, Mellors examined the rates of AIDS-defining events and deaths in relation to viral load levels measured using bDNA. Similarly strong associations between viral load levels and clinical outcome have been reported in numerous other cohort studies, including the 1170-patient EuroSIDA cohort(23) and the Multicenter Hemophilia Cohort Study,(24) among others. In the hemophilia cohort, "each log(10) increase in baseline viral load was associated with a five-fold increase in risk for AIDS-related illness during the first six months of follow-up." The predictive value of viral load was independent of that of CD4 count. One particularly interesting study looked at viral load in gay men in the Baltimore MACS cohort and injection drug users in the Baltimore "AIDS Link to Intravenous Experiences" (ALIVE) cohort. Rather than measuring plasma HIV-RNA in the usual way, using PCR or bDNA, this study looked at cell- associated infectious viral load using the quantitative microculture assay. This method "quantifies the biologically functional and infectious cell-associated HIV-1 by measuring the amount of HIV infected cells capable of infecting donor cells from an uninfected person in culture. "(25) Looking at the risk of AIDS-defining infections, non-AIDS-defining bacterial infections, and death, the researchers found that "higher levels of infectious viral load were significantly related to increased hazards for all three outcomes," with little difference between the gay men and the intravenous drug users. After adjusting for CD4 level and numerous other factors, viral load was strongly predictive of risk of progression to AIDS. After reviewing the available data, including numerous studies not listed here, the expert panel convened by the Department of Health and Human Services to determine HIV treatment guidelines recommended using both CD4 and viral load in conjunction with the clinical condition of the patient to guide therapeutic decision-making. Discussion of this data is notably absent even in current denialist literature. Maggiore's recent column,(15) for example, cites one article from 1993(28)--very early in the development of these assays--as "studies showing that viral load test results do not correlate with illness, with wellness, with T-cell counts or even the finding of virus by co-culture." Unfortunately, the medical mainstream has usually not bothered to answer these views--so persons with sincere questions have heard only one side. This is changing. Meanwhile, the U.S. National Institute of Allergy and Infectious Diseases has prepared a page of links to publications with evidence that HIV causes AIDS, http://www.niaid.nih.gov/spotlight/hiv00/default.htm . Also, see http://www.aegis.org/topics/aids_debate.html . 2. Strausberg, John. 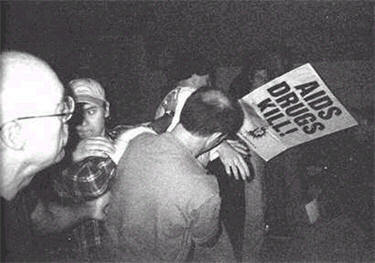 The AIDS Heretics, New York Press. March 9, 2000; 13: 10. 3. Maggiore, Christine. What if Everything You Thought You Knew About AIDS was Wrong? (4th Edition, 2000). American Foundation for AIDS Alternatives, Studio City, California. 4. Conlan, Mark Gabrish. Interview: John Lauritsen.Zenger's. April 1997. 5. Mosley, James. Idiopathic CD4+ Lymphocytopenia: Other Lymphocyte Changes. IX International Conference on AIDS, Berlin, 1993, abstract #WS-A25-5. 6. Stein, Daniel S, Korvick, Joyce A. and Vermund, Sten H. CD4+ Lymphocyte Cell Enumeration for Prediction of Clinical Course of Human Immunodeficiency Virus Disease, a Review. Journal of Infectious Diseases, 1992; 165: 352-363. 7. Stansell, J.D., and others. Predictors of Pneumocystis carinii pneumonia in HIV-infected persons. Pulmonary Complications of AIDS Study Group. American Journal of Resperitory and Critical Care Medicine. January 1997; 155:1, 60-66. 8. Phair, J., and others. The risk of Pneumocystis carinii pneumonia among men infected with human immunodeficiency virus type 1. Multicenter AIDS Cohort Study Group. New England Journal of Medicine. January 1990; 322:3, 161-165. 9. Nightingale, SD, and others. Incidence of Mycobacterium avium-intracellulare complex bacteremia in human immunodeficiency virus-positive patients. Journal of Infectious Diseases. June 1992; 165: 6, 1082-1085. 10. Spaide, R.F., Gaissinger, A., and Podhorzer, J.R. Risk factors for cotton-wool spots and for cytomegalovirus retinitis in patients with human immunodeficiency virus infection Ophthamology. December 1995; 102:12, 1860-1864. 11. Hammer, S., and others. A controlled trial of two nucleoside analogues plus indinavir in persons with human immunodeficiency virus infection and CD4 cell counts of 200 per cubic milliliter or less. New England Journal of Medicine, 1997; 337: 725-733. 12. Marschner, I. C., and others. Use of Changes in Plasma Levels of Human Immunodeficiency Virus Type 1 RNA to Assess the Clinical Benefit of Antiretroviral Therapy. Journal of Infectious Diseases. 1998; 177: 40-47. 13. Smith, D.K., and others. Causes and rates of death among HIV-infected women 1993-1998: The contribution of illicit drug use and suboptimal HAART use. 7th Conference on Retroviruses and Opportunistic Infections, San Francisco, January 30-February 2, 2000, abstract #682. 14. O'Brien, William A., and others. Changes in plasma HIV RNA level and CD4+ lymphocyte counts predict both response to antiretroviral therapy and therapeutic failure. Annals of Internal Medicine. 1997; 126: 939-945. 15. Maggiore, Christine, Questioning AIDS, Q & A. Magnus. March/April, 2000. 16. Johnson, Christine and Philpott, Paul. Viral Load of Crap. Reappraising AIDS. October, 1996. 17. Ho, D.D., and others. Rapid turnover of plasma virions and CD4 lymphocytes in HIV-1 infection. Nature. January 12, 1995; 373: 123-126. 18. Todd, J. Performance Characteristics for the quantitation of plasma HIV-1 RNA using the branched DNA signal amplification technology.Journal of Acquired Immune Deficiency Syndromes and Human Retrovirology. 1995; 10: supplement 2, S35-44. 19. Food and Drug Administration, letter to Roche Molecular Systems, March 2, 1999. 20. Mellors, J., and others. Quantitation of HIV-1 RNA in plasma predicts outcome after seroconversion. Annals of Internal Medicine. 1995; 122: 573-579. 21. Mellors, J., and others. Prognosis in HIV-1 infection predicted by the quantity of virus in plasma. Science. May 24, 1996; 272: 1167-1170. 22. Mellors, J., and others. Plasma viral load and CD4+ lymphocytes as prognostic markers in HIV-1 infection. Annals of Internal Medicine. 1997; 126: 946-954. 23. Miller, V., and others. Association of viral load, CD4 cell count, and treatment with clinical progression in HIV patients with very low CD4 cell counts: The EuroSIDA cohort. 7th Conference on Retroviruses and Opportunistic Infections, San Francisco, January 30-February 2, 2000, abstract #454. 24. Engels, E., and others. Plasma HIV-1 viral load in patients with hemophilia and late-stage HIV disease: A measure of current immune suppression .Annals of Internal Medicine. 1999; 131:256-264. 25. Lyles, C.M., and others. Cell-associated infectious HIV-1 load as a predictor of clinical progression and survival among HIV-1 infected injection drug users and homosexual men. European Journal of Epidemiology. 1999, 15:99-108. 26. Cameron, D.W., and others. Randomized placebo-controlled trial of ritonavir in advanced HIV-1 disease. The Lancet. February 21, 1998; 321: 543-549. 28. Piatak, M, and others. High levels of HIV-1 in plasma during all stages of infection determined by competitive PCR. Science. March 1993; 259: 1749-1753. 29. Sullivan, P.S., and others. Persistently negative HIV-1 antibody enzyme immunoassay results for patients with HIV-1 infection and AIDS: serologic, clinical and virologic results. Seronegative AIDS Clinical Study Group. AIDS. January 1999; 12:1, 89-96.